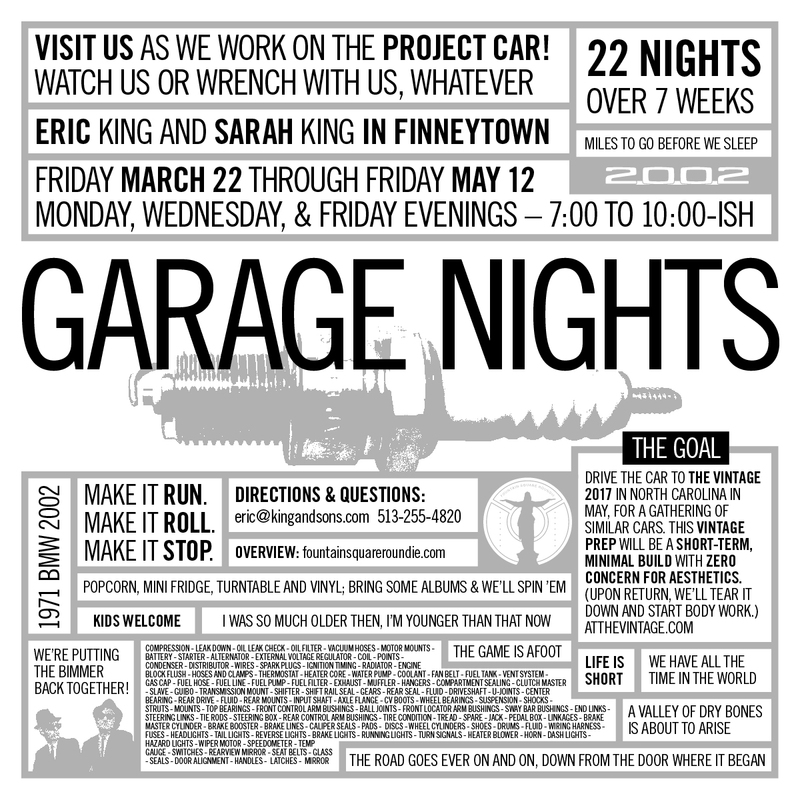 We’re starting a seven-week run of work nights on our car, aiming for the high goal of The Vintage to keep us focused. Tonight we’ll kick things off by trying to get the engine started for the first time. Leading up to this, we’ve changed oil and plugs, checked and adjusted the valves, removed the old cooling system, drained the coolant from the block, added new ignition bits (points, condenser, rotor, cap, wires) and bought a battery. NICE!!! I look forward to reading about the progress. Please post plenty of pics and videos of when you guys and gals get this thing running. Best of luck and god’s speed! Subscribed and eagerly watching from the left coast.